Lastify is a great way to discover new bands and new music within Spotify by using the recommendations from your Last.fm profile and turning them into playlists. As a fan of both Last.fm and Spotify I immediately liked this website. 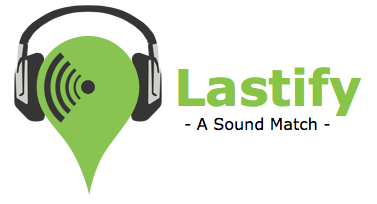 After entering your Last.fm username on Lastify’s website, a playlist is generated for you based on the artists that Last.fm recommends to you. After the playlist has been generated, you can subscribe to it in Spotify. The playlist will be refreshed automatically every 24 hours. When you listen to tracks from your generated playlist from time to time, Last.fm will come up with new recommendations after a while, so over time the artists in your generated playlist will change. I hope that Spotify will implement functionality like this and put it in their software. Until that moment comes, Lastify is a great tool I will surely keep on using. Update February 14th, 2011: I wrote an extensive review of the Deluxe Edition box set which can be found here. YesWorld mentions on its website that VoicePrint will release a live DVD and live album that was recorded during the Yes Union tour. 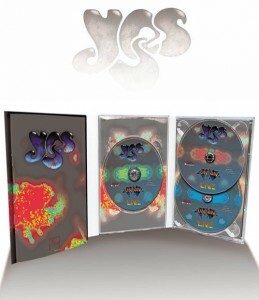 Especially the DVD release is possibly the most anticipated Yes release from the past 20 years. At least for me it is. The Yes Union tour united nearly every band member from the seventies and eighties renditions of the band on stage: Jon Anderson (vocals), Chris Squire (bass), Steve Howe and Trevor Rabin (guitars), Rick Wakeman and Tony Kaye (keyboards) and finally the two drummers: Bill Bruford and Alan White. The title of this post is the name of an iOS music app. It’s innovative, crazy, mind-blowing and utterly funny. What the app does? Hard to explain. Just watch the video and see for yourself. abcdefghijklmnopqrstuvwxyz is another must have iOS music app. It’s universal and is currently priced at $1.99. It was created by Jörg Piringer and it’s hard to describe what it does. In fact in this case I’m not going to attempt a description. Just watch the video above. Awesome.